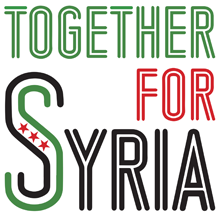 Syria Solidarity UK: Is Theresa May in breach of international law? Whether the 13th April intervention in Syria by the US, France and the UK was within the parameters of international law is not the only nor perhaps even the most significant question. But it is the nub of the criticism of UK Government action by the Leader of the Opposition and internationally by Russia and the Syrian Arab Republic, so it is worth considering. The legal justification is based on the concept of ‘humanitarian protection’ using arguments outlined by the Labour government in the case of Kosovo in 1998/9. The legal case for humanitarian intervention without UN Security Council approval was rehearsed again in 2013, when action against Syria was debated in Parliament after a major chemical attack on civilians. Sir Bethlehem gives a useful reading list on the history and development of the doctrine of humanitarian intervention. He makes clear that it is neither codified in international law, nor established in the UN Charter, which prioritises the sovereignty of states and the illegitimacy of interference by outside bodies. The UN makes an exception of self defence, and grants itself the power to intervene when ‘international peace and security’ is threatened. So where does that leave the justification for action outside the UN, when it cannot agree on what action to take? Security Council or unilateral action? So why has the UN Security Council not implemented this resolution, given the repeated breaches by the Syrian regime since 2013, and the United Nations confirmation that Sarin was used by the regime in 2017? The answer is simple: the use by Russia of its veto on the Security Council, in not only stalling a condemnation of the latest attack, but also of the continuing investigation of UN bodies into the extent of use of chemical weapons in Syria (see below). Just as in Kosovo, where the UN had taken steps towards intervention but was unable to pursue it through the Security Council, Syria opens the question of unilateral action by states acting individually or in groups. When the Security Council is stalled, it is worth looking at the arguments for independent humanitarian intervention more closely. These strands do not amount to an international statutory code such as the United Nations Charter, but to a developing body of customary law, which could sit alongside the Charter to interpret the limits of its principle of state sovereignty in clearly defined extreme and exceptional circumstances, when the Security Council itself cannot act. Are the conditions met in this instance? 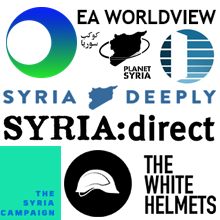 The stated purpose of the action was to ‘alleviate the extreme suffering of the Syrian people by degrading the Syrian regime’s chemical weapons capability and deterring their further use.’ Whether this suffering would be significantly alleviated by targeting only chemical weapons capability—given that the vast majority of casualties are inflicted by other weapons—is an issue. But the objective is carefully worded to acknowledge its own limitations. In any case, the lawfulness of the action taken can be judged only in light of the stated objective. 1. Convincing evidence, generally accepted by the international community as a whole, requiring immediate and urgent relief. There is overwhelming evidence of a recent chemical attack in Douma on 7th April, the night before the forced evacuation from the town, despite the chaos and confusion caused by the evacuation. The UN investigation team was not in Syria, because its continuing investigation into chemical attacks after its finding in 2017, was vetoed by Russia. Russia then vetoed another resolution on an investigation after the fact. Given the perceived urgency of preventative action, and this stalling of an official UN investigation by a key ally of Assad, it must be reasonable to expect the three Security Council members contemplating action—the US, the UK and France—to rely on the proven record of the Assad regime, the available evidence, and their joint intelligence to assign responsibility for the recent attack. 2. It must be objectively clear that there is no practicable alternative if lives are to be saved. Given the frequency of chemical attacks in Syria, the stalling of an official investigation, the Russian veto on the most recent UN Security Council vote on the attack, as well as the contemptuous flouting of the recent Security Council resolution of 25th February 2018, which imposed a nationwide ceasefire in Syria, it is hard to think of an alternative mode of action which would be effective, at least in the short term. 3. The use of force must be proportionate and necessary to the aim of relief of humanitarian suffering, and strictly limited to in time and scope, and for no other purpose. Given the extreme caution exercised, the targeting of three chemical facilities only, and the absence of reported casualties—military or civilian—it would be hard to argue that this condition has been breached. I have other doubts, about whether this action alone is sufficient to address the immeasurable suffering of Syrian civilians. The arguments outlined above could form the justification for much more comprehensive humanitarian action to protect civilians, since millions of Syrians in opposition areas remain under immediate peril of serious injury and death. Whether this action will act even as a sufficient deterrent against the continued use of chemical weapons by the regime, only time will tell. It is not my intention to justify Theresa May, but I cannot see how her action in supporting a strictly limited strike on chemical weapon facilities can be condemned as unlawful, except by those who would insist that all enforcement action outside the UN mandate against another state, however criminal, is unlawful. Anyone who really does believe that must answer Kofi Annan—what should happen when atrocious crimes are being committed and the UN itself is incapable of action? Before and after: alleged chemical weapons storage site around 20 km west of Homs, Syria. Satellite images via DigitalGlobe.